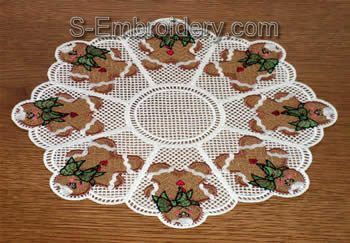 Another one of our Christmas freestanding lace embroidery sets. 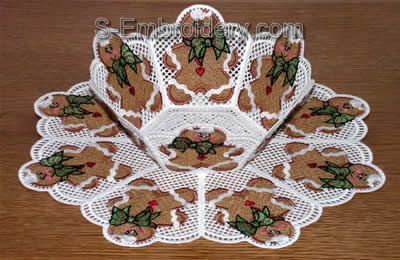 The set includes 1 freestanding lace bowl and 1 freestanding lace doily with Ginger Boy decorations as well as 2 Christmas tree ornaments. 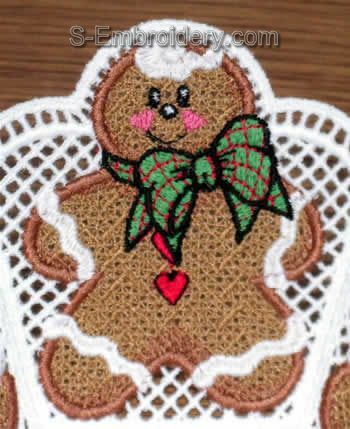 One of the lace ornaments can be used to create a garland and the other one is made to be used separately. 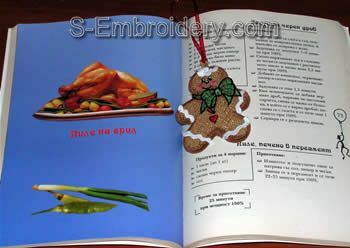 The set includes a total of 6 embroidery files, color chart and freestanding lace bowl creation tutorial in PDF format. How adorable! One of your best. Great for cookies for S.C. ? really surprising. great Christmas gifts! Fantastic and so easy. 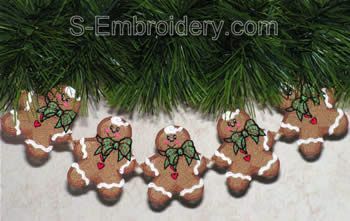 I love the cute Gingerbread Man. This was my first lace bowl...totally gorgeous. 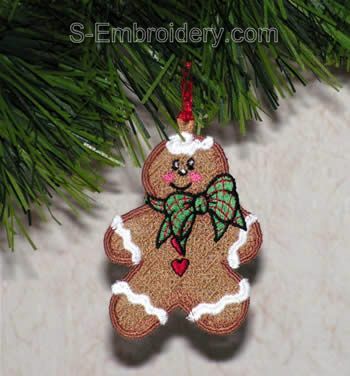 Stitched out many of the GGBBoys for Christmas ornament gifts and they are just adorable. Daughter will receive the bowl/doily which stitched perfectly Love your lace! !